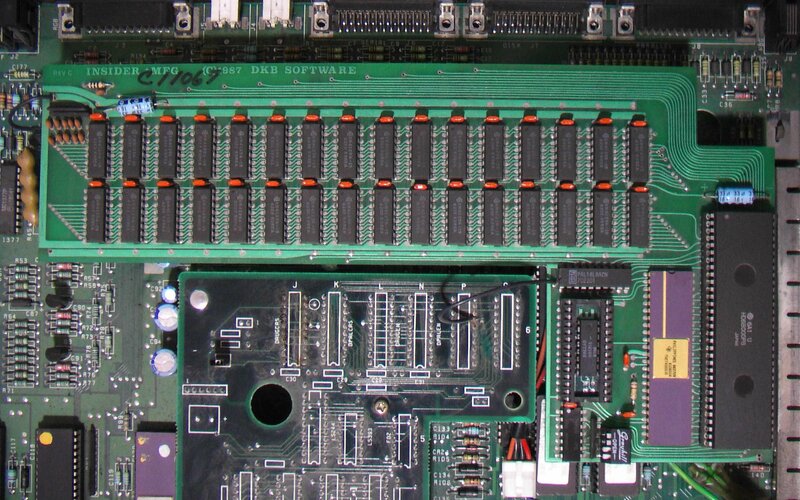 Close-up of Insider DRAM chips. 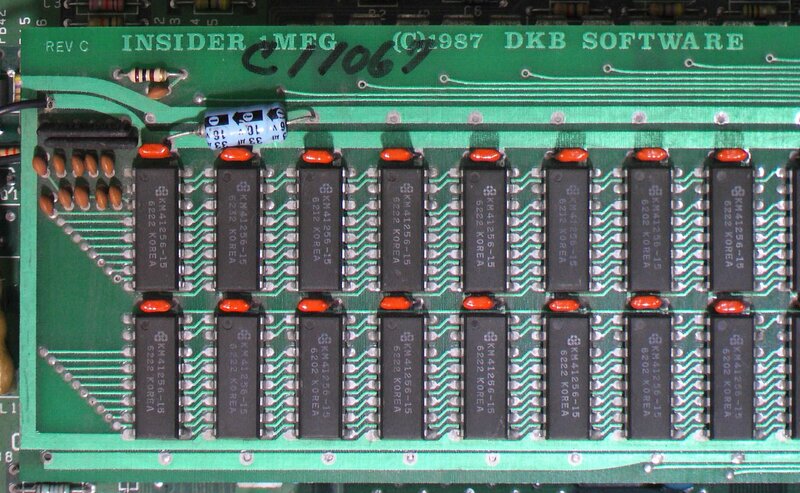 Close-up of Insider chips and socket. 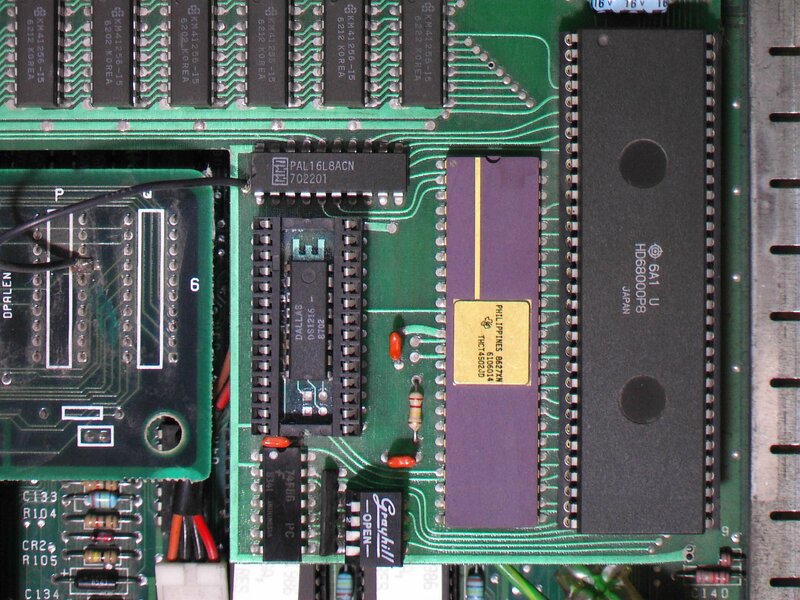 The third lead should connects the ground of the motherboard to the card. 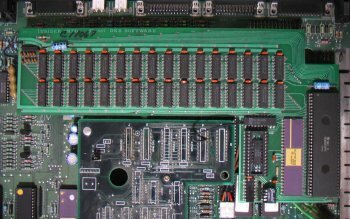 Mount the round lug-end of the lead to the screw located at A1 (left of C141) on the motherboard. Connect the other end of the clip to A2 which is located underneath the WCS daughterboard. Page contributors: Daryl Sons, Takahasi Kasiko.